You know you need to give your working feet comfort and protection, and you can do so with these Reebok Women's RB143 Sublite Cushion Internal Met Guard Work Shoes from Working Person's Store. These are designed with a number of special qualities to possibly preven ... (see full details) (see specifications) #RB143. You know you need to give your working feet comfort and protection, and you can do so with these Reebok Women's RB143 Sublite Cushion Internal Met Guard Work Shoes from Working Person's Store. These are designed with a number of special qualities to possibly prevent your feet from becoming sore or injured, so they’re ideal for working people like you. You will love how these women's slip-resistant EH shoes make your feet feel. They're designed with a moisture-wicking nylon mesh lining. The perforations in the mesh allow air to reach your feet to prevent them from overheating. The lining also wicks sweat away from your skin for fast evaporation through the mesh; that way, your feet stay dry. 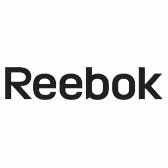 The safety toe Reebok shoes also offer full-foot flex grooves for improved mobility and flex with each step. For supreme underfoot support, a MemoryTech Massage footbed and a Sublite EVA cushion midsole are included in the design. The MemoryTech footbed adapts to the contours of your feet to provide immediate cushioning and comfort. The Sublite midsole reduces weight and allows for a greater range of motion. Plus, it's designed with rubber heel and forefoot pads that offer additional support in key areas. In addition to comfort, these women's met guard shoes are well-made. They feature a leather upper with no exposed metal that offers long-lasting toughness. And last but not least, these women's moisture-wicking shoes can keep you safe. Reebok built them with an alloy safety toe that meets the requirements for the safety standard ASTM F2413, so you can trust it to keep your toes guarded against drop impact and compression. Moreover, the alloy toe Sublite work shoes are designed with a metatarsal guard that also meets the requirements for the aforementioned standard. The met guard protects the bones in the surface of your foot from drop impact and compression as well. And as a final measure in comfort, the athletic women's shoes are made with a rubber outsole that's slip-resistant and can also prevent harm from electricity. These Reebok Women's RB143 Sublite Cushion Internal Met Guard Work Shoes are super comfortable and protective. Order them for your feet here at Working Person’s Store today. Reebok Shoes: Women's RB143 Sublite Cushion Internal Met Guard Work Shoes is being added to your cart.